Freight Broker Training – Most Frequently Asked Questions! If your on this page I am sure you have lots of questions. I know I did when I first started researching the freight brokerage business. This blog post is designed to help you answer the The Most Frequently Asked Questions that students and visitors ask about my online freight broker and freight agent training program. With over 6,000 students and thousands of visitors per month to my website, you can only imagine how many questions we have gotten over the years. So here we go…drum roll please! > CLICK HERE To Start Making Money as a Freight Broker or Agent! How much can a freight broker / freight agent make? ANSWER: Click here for a detailed answer from a previous blog posts! Do you offer support for students? ANSWER: Yes of course we do! Support is handled through our online administrative support desk. If your question can not be handled online we will arrange a time to contact you via phone. Typically we are able to respond and/or resolve any questions within 24-48 business hours. 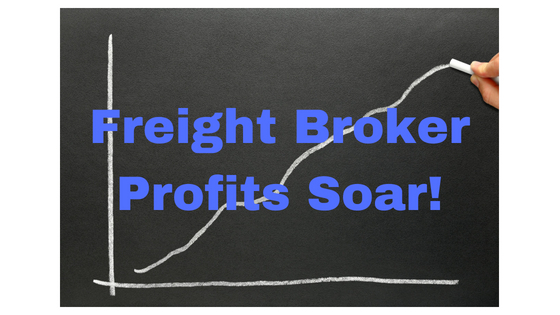 Why is FreightBrokerBootcamp.com so much less expensive than other freight broker training programs? How much does a freight broker surety bond cost? ANSWER: The cost of a freight broker surety bond can vary from 1-4% for people with average to excellent credit. If you have below average credit it does not mean you can’t get your bond, it just means it could cost you more until you build up a good history with the bonding company. NOTE: Freight Agents are NOT required to have freight broker surety bond or authority because they will be operating under the authority of a licensed broker. We will provide you information on the top Freight Broker Surety Bond companies as a part of our training. Will you hire me or provide job placement after taking your course? ANSWER: No…who wants a “job?” Our system is designed to take the “j-o-b” out of the equation and prepare you for self-employment by teaching you how to create work for yourself. In fact, you’ll learn how to reach for the other end of the spectrum by leveraging and multiplying your efforts. to find a good broker to work with! Click here to watch a video for more in depth details. ANSWER: Yes, as a business owner you will make your own schedule. After all you are the boss! One of the greatest parts about this business is the fact that all you need is a phone and the internet to be in business, so as long as you have those two things you can do business whenever and where ever you want! Can I share my training account with my partner? ANSWER: Technically you could, but it’s not recommended. As a member of my site you are purchasing 1 license to access the training. Our system tracks the number of IP addresses used to access the account and may temporarily disable an account it feels is “abusing” the system. The good news is, as a member you are able to download and/or print most of the information for sharing with your spouse or partner. Does the training include the forms and contracts needed to get started? ANSWER: Yes we include access to all the forms and contracts you will need to become a freight broker or freight agent. This feature alone is worth well over $500 without the training! I really hope you found the answers you were looking for. But in event you still have questions, I would highly suggest you search and read my blog for the answers and if for some reason you can’t find what you’re looking for, just REPLY to this blog post with your question and we will get back to you shortly. If you’re ready to get enrolled and take the first step on your journey to becoming a freight broker or freight agent go to www.FreightBrokerBootcamp.com to get started! Did This Help You? If so, I would greatly appreciated if you comment below, share on Facebook or Linkedin and click the g+1 button below. Click Here For #1 Freight Broker & Freight Agent Training Program Online! 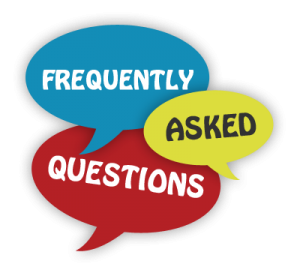 Be the first to comment on "Freight Broker Training – Most Frequently Asked Questions!"